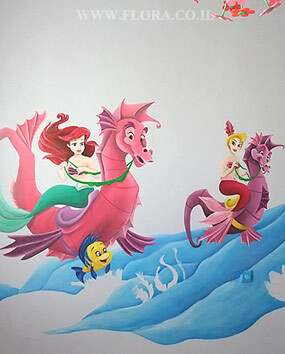 Girls Room Murals - Ariel`s Undersea Adventure. Wall painting stage 3. Ashdod. Wall paint drawing size 3 meter. Painter Flora.